Rancho Santa Fe is a suburb in San Diego County but is officially referred to as a CDP, or census-designated place. It is a sparsely populated area with only about 1,000 inhabitants according to the 2010 census. Rancho Santa Fe is popular for its warm weather and Mediterranean climate. When it comes to home remodeling or room additions in Rancho Santa Fe, Murray Lampert Design, Build, Remodel is one of the best known and most trusted design-build firms. Residents of Rancho Santa Fe in need of home makeover services such as a kitchen remodeling enjoy our fully personalized services. Murray Lamper is the design-build firm in San Diego. We tailor our services to suit our clients’ needs. After we consult with a client, we come up with a custom design that fits their dream kitchen goals perfectly. Our work as interior designers and home remodeling experts has been made easier and more efficient by the use of modern technology. Computer software programs enable us to harness technology such as 3D architectural modeling software in our kitchen remodeling Rancho Santa Fe projects. Cutting-edge technology makes it easier, faster and more convenient to come up with amazing designs and exciting ideas that will modernize a kitchen and make it cozy, spacious, comfortable and practical. Our firm has been providing kitchen remodeling services since 1975. We have been proudly offering our services in San Diego County, providing excellent services to property owners in Rancho Santa Fe. All our technicians and experts are very experienced remodeling professionals. Our extensive experience distinguishes us from the competition in providing kitchen remodeling services to Rancho Santa Fe residents. One of our hallmarks as a company is trustworthiness. Our clients know that they can trust us. We always issue fair quotes and employ efficient project management software to come up with accurate project estimates. We do not overcharge and rarely ever go beyond a budget. Our trustworthiness has allowed clients to remain faithful to us and recommend us to others. When redesigning a kitchen, we always consult the client with regard to the style they prefer. This includes kitchen cabinetry, which we can fully customize, construct and install, and ensure clients are really happy with the new look. Murray Lampert Design, Build, Remodel has won many prestigious honors and awards, which has established us as the leading remodeling firm in Rancho Santa Fe. Many organizations and professional institutions have recognized the excellent work we do and the amazing services we provide to the community. Over the years, we have won awards such as the Guildmaster Award and four BBB Torch Awards in recognition of our work. We endeavor to continue providing quality Santa Fe kitchen remodeling services to our clients so they have kitchens they can be proud of. 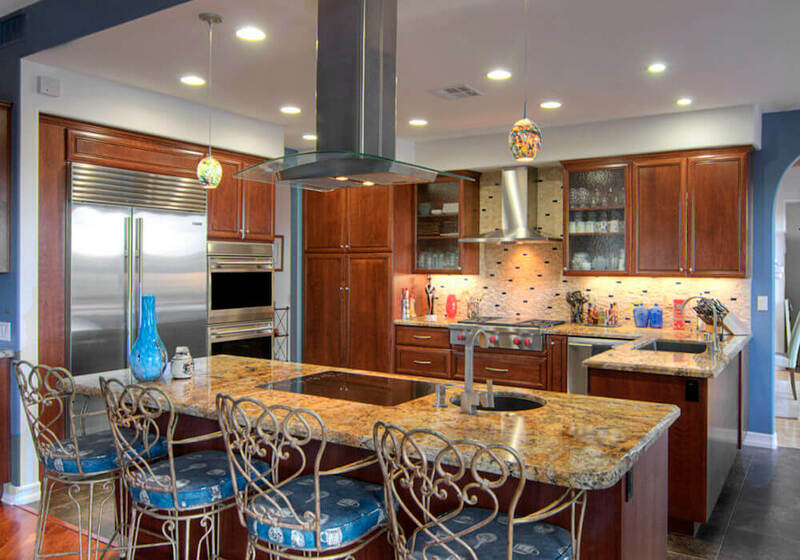 Want to know more about our kitchen remodeling services in Rancho Santa Fe? Great! Complete the quick contact form below to schedule a free in-home consultation with our expert design-build team.